Am I correct this is the first free climb to climb through the big roofs of the Sheriffs Badge? According to the information on the Arc'teryx Climbing Academy page about the clinics you should receive confirmation from Canada West Mountain School once you registered. They can also answer any questions you may have. Didn't clue-in right away but these were shot by a drone, interesting. Good clarity on the camera. Let's see some more drone shots from others. What climb is this? Who are the climbers? Have any more? 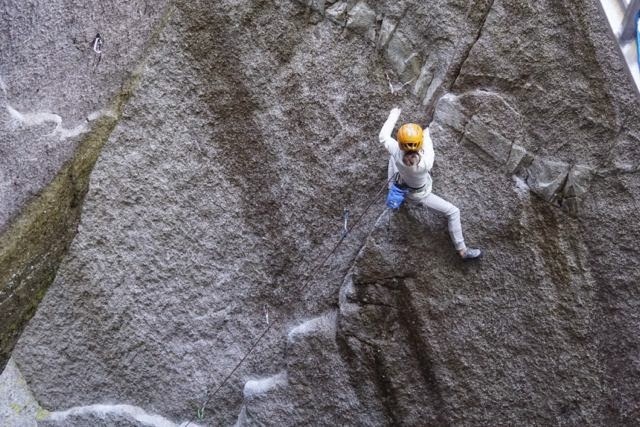 Impressive climbing here, anyone know who this is.